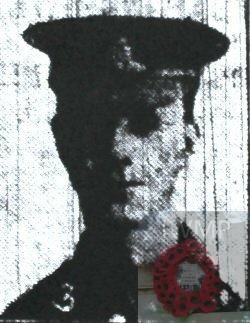 Died: 16th May 1918; age 24; KiA. Residence: 33, Stanley Avenue, Ipswich. Employed: at the East Anglian Daily Times Office. 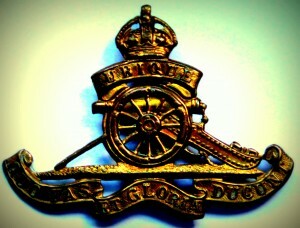 Regiment: Royal Field Artillery, ‘D’ Battery, 256th Brigade. Relatives Notified & Address: Son of T.T. Clarke, of 33, Stanley Avenue, Derby Road, Ipswich & the late Mrs S. Clarke. 1901 59, Norfolk Road, Ipswich. Thomas Turner Clarke, 42, a Shoe Maker, born Ipswich. Susannah Clarke (nee Milborn), 42, Ipswich. Susannah Clarke, 23, a Charwoman, born Ipswich. Herbert John Clarke, 17, a Printer’s Labourer, born Ipswich. 1911 90B, St. George’s Street, Ipswich. Frederick was 17 years old, a Printer’s Labourer. He was living with his parents. Thomas, 52, a Boot Laster. Soldiers’ Effects to Susannah Clarke – mother. Later to Thomas T. Clarke – father.